Detroit emcee J.Crum had a different upbringing growing up but that doesn’t mean he didn’t have time to listen to some classic hip-hop. His upbringing experiences and more have brought him to release the “Flawed” EP via his collective Streetlight Sounds. I had a chance to sit down with him and talk about his collective, the new project and about opening for Lecrae & Talib Kweli later this fall. Dead End Hip Hop: Tell me us a bit about J.Crum for those who aren’t in the know still? J.Crum: I’m a man of God, I’m a husband to an amazing wife, I’m a leader in my community, I’m an entrepreneur, and I’m an emcee. Detroit born – Omaha raised. DEHH: How did you get into hip-hop growing up? J.Crum: I grew up in a super religious household so hip-hop wasn’t around much unless it was Christian. So rappers like Cross Movement, Japhia Life, Da TRUTH were allowed. Now I snuck in rappers like Eminem, Outkast, Snoop Dog and Jay Z. Both groups had an impact on me growing up. DEHH: Alright enough of the basics let’s jump in. You have a lot going on right now, you just dropped your “Flawed” EP, you’re part of a collective in Streetlight Sounds, tell me a bit about what’s been going on? J.Crum: Yeah Flawed is my newest project, I started writing for it in January and it’s some of my best work imo. As I began to get things in motion and the platform began to grow I noticed the bond I was making with other artists around me. Dope artists with the same goal and character as mine. Seeing this, I felt called to create something that will help all of us push our platform further. That’s how Streetlight Sounds developed. DEHH: Now the “Flawed” EP is fire, there’s aggressive tracks, there’s more than just bangers, what was the motivation behind the project? J.Crum: Man I wanted to give people a peek inside my life. Show them my failures, my victories, my short-comings, and my growth. Show them my humanity and meet the listener right where they are at. DEHH: When people are done listening to “Flawed” what do you want them to walk away with? J.Crum: That although we slip and we fall over and over that it’s ok. I believe in Jesus and that he forgives those flaws, he forgives those failures. That’s the theme you will keep hearing in the project. Flawed but Forgiven. DEHH: One of the things I like about the EP is your range, you’re a great emcee and a great singer, how are you able to balance the two? J.Crum: I appreciate that! It’s something I’m still exploring. I’ve sang more on this project than my last one. I’m always trying to find ways to combine the two in creative ways. DEHH: Talk to me a bit more about Streelight Sounds, what’s coming next from your camp? J.Crum: Man we got so much coming coming for y’all. We have the streetlight cypher and video coming up very soon. After that we have my dude Walt Fortune dropping his first single at the end of August. Going into the new year expect consistent content from myself, Walt Fortune, T-Vision, Mola-B, Greco, and FVMELESS. DEHH: Now I heard you’re opening for some big names coming up, what’s your show preparation look like? What’s going to a J.Crum show like? J.Crum: Yeah bro Lecrae 8-25 and Talib Kweli &a Rakim 9-16. I put a lot into my live show. I perform with a live band. All of em are dope musicians and we practice regularly. DEHH: What’s next for you? Will we be seeing you on tour? When can we expect a full-length release? J.Crum: I’ve just release part 1 to my 6 part Short Film “Flawed” each film highlights a track on the EP. That will be dropping every two weeks. Working on a tour for spring 2018 with streetlight Sounds. And I will be releasing an LP hopefully in the Summer of 2018. DEHH: I heard you brought the first part of a short film for us. Tell me a bit about it. It’s six parts and it tells the narrative of of a crazy night where I am confronted by a physical manifestation of my own flaws. 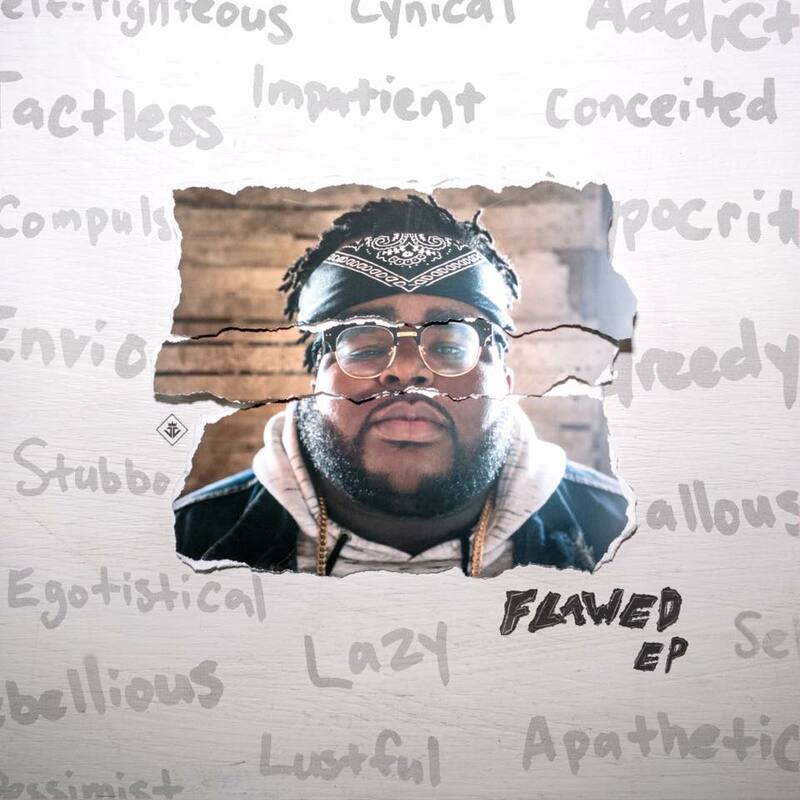 You can check out J.Crum’s EP “Flawed HERE. Complex got the premiere of A$AP Rocky’s second single, F*ckin Problem, from LongLiveA$AP with Drake, 2 Chainz, & Kendrick Lamar. Listen: A$AP Rocky-F*ckin Problem (ft.